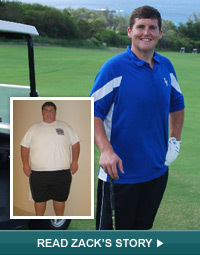 Vertical gastrectomy in San Francisco is a relatively safe and effective option for many obese individuals, particularly those with a very high body mass index (BMI). 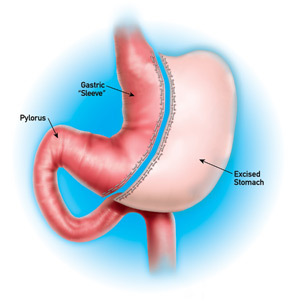 Like LAP-BAND® surgery, this is a restrictive procedure, involving no reconfiguration of the intestines, so it is a good option for those with pre-existing health issues such as Crohn's Disease, liver disease, or other conditions which make them too high risk for malabsorptive procedures. This surgery is fairly simple, thus the risk of complications is reduced. Dietary patterns must be adjusted to promote long-term, sustained weight loss. It is a good option for many people considering restrictive procedures like LAP-BAND surgery in the Bay Area. If you would like to find out more about vertical gastrectomy in San Francisco, click here to request a consultation with Dr. John Rabkin at Pacific Laparoscopy. Or you can call our office at 415-668-3200 to schedule your appointment.